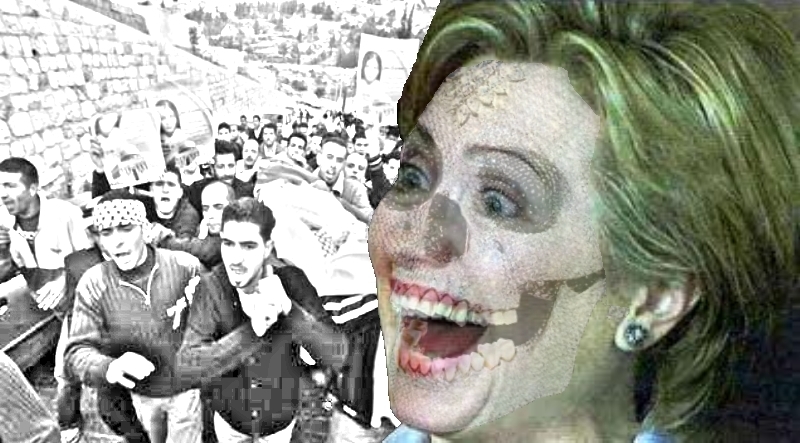 As part of a March trip, which included a stop in France, Hilary Clinton visited Tunisia and Egypt to meddle in the wake of protests which toppled the heads of two US-backed regimes in the respective countries. After decades of supporting the Tunisian ruler, Zine Ben Ali, Clinton met with youth who took part in the civil unrest which caused him to flee the country on January 14th, 2011. Clinton, in her typical doublespeak, promised to help Tunisia “economically” and with their “transition to democracy.” Yet, up until Ben Ali’s departure, Clinton remained adamant the US was neutral regarding clashes between popular and state forces. Concurrently, Clinton has been silent regarding Saudi Arabia sending its military to quell unrest in the United Arab Emigrates and Bahrain. Clinton’s Tunisian visit was met by protests from politically conscious forces. Hundreds gathered near Bourguiba Avenue, the focal point of the weeks-long mass demonstrations which have since spread throughout the entire region. “We want her to stay out,” said Hawla Hammoun, a 21-year-old female university student. Right now, the US is actively pursuing a policy to co-opt the popular forces which overthrew the heads of the Tunisian and Egyptian governments. It is seeking out a new comprador class to betray the people’s interest and maintain the neo-colonial order. Imperialism is also trying to engineer such a situation in Libya, i.e. pushing aside old compradors for newer ones who are more pliable, friendly to Western interests and likely to increase long-term stability for Capital. Only politically conscious masses organized around a revolutionary program can bring an end to the era of imperialism and neo-colonialism. The fall of Ben Ali in Tunisia and Mubarek in Egypt will open up democratic space for such organizing. For revolutionary anti-imperialists in the First World, our job is to expose and oppose imperialist intervention and meddling, and maintain strict internationalism. We must support the struggles of the Arab, North African and Third World masses, not merely through slogan and declarations, but through our own independent, conscious work which bring to light and challenges all aspects of imperialism. The united struggles of the Third World masses, ignited by a revolutionary program, is our struggle. Imperialists will unite around exploiting and keeping weak the Third World masses. Yet, the Third World masses united around their collective liberation is a force which cannot be stopped.